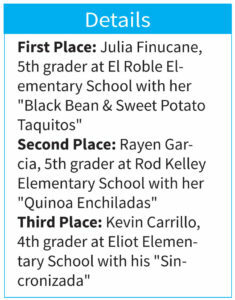 Julia Finucane, an El Roble Elementary School fifth grader, makes her Black Bean & Sweet Potato Taquitos, which took first place. Watch out Iron Chef Michael Symon. 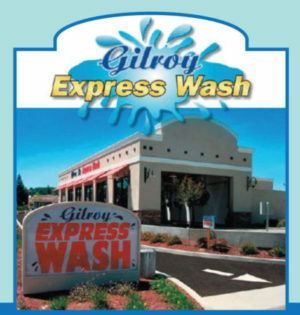 Gilroy’s youngsters are gonna give you a run for your money. 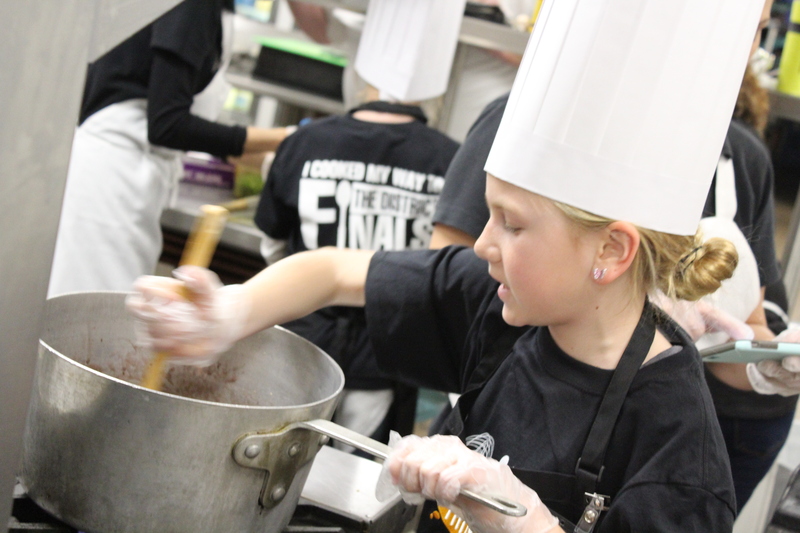 The celebrity chef who appeared at last year’s Gilroy Garlic Festival would be impressed by the eight students from various Gilroy Unified elementary schools who took part in the 2019 “Sodexo Future Chefs Challenge” held at Gilroy High School March 6. The young chefs were encouraged to make healthy Mexican-inspired recipes, with an emphasis on reducing organic food waste. The winning dish came from Julia Finucane of El Roble Elementary. Her creation, Black Bean and Sweet Potato Taquitos, won over judges, and local culinary legends Sam Bozzo, Gene Sakahara, and Carlos Pineda to claim the top prize. Sodexo is a school nutrition partner to more than 425 school districts throughout the U.S. It’s taken a special interest in advancing childhood nutrition, health, and well-being. The Sodexo Future Chefs Challenge is an opportunity for the company to share its health and well-being expertise. Students arrived at 3 p.m. and took a safety tour of the kitchen with Sodexo’s Chef Jeff Brown, then began their recipe preparations. One by one, the students returned to their work tables. Some ingredients were prepped ahead to save time. Certain tasks were completed in the kitchen for safety purposes. Clad in black t-shirts and white toques, each student was paired with an adult volunteer, a lunch lady from one of the schools in the Gilroy Unified School District. Chef Brown made his rounds, inspecting the work stations and asking students questions about their recipes. Family and friends looked on as the students and their lunch lady volunteers chopped, mixed, and stirred their way to their completed recipes. As time elapsed, the pace quickened. Soon, leisurely trips to the kitchen to check on a recipe’s elements or retrieve utensils turned into hurried steps at a quickened pace. 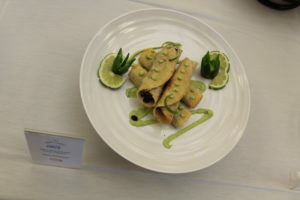 Julia Finucane’s “Black Bean & Sweet Potato Taquitos took first place in the Sodexo Future Chefs Challenge. Meanwhile, the judges circulated throughout the competition, chatting with the competitors and offering advice. The friendly exchanges likely helped to ease some of the competitors’ jitters. 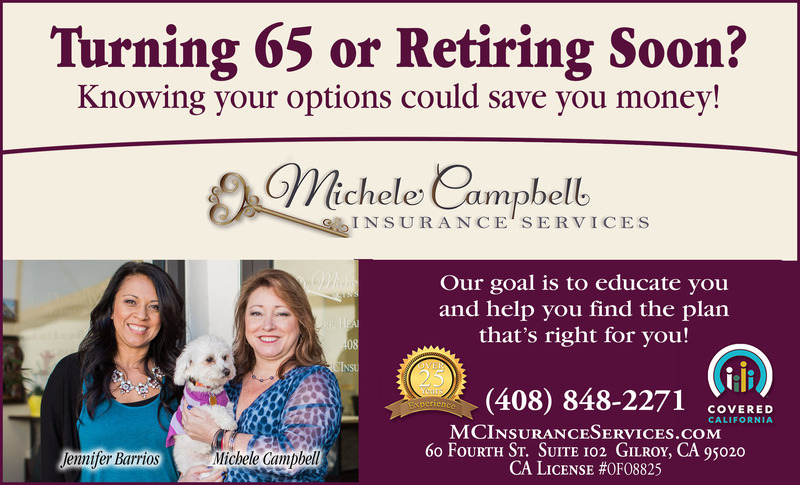 Pineda, a graduate of Gilroy High School’s Class of 2006 and the big winner of the Gilroy Garlic Festival’s Garlic Showdown competition in 2017 and 2018, held court, taking the microphone at one point to thank the event’s sponsors and shout out the competitors for their hard work and creativity. 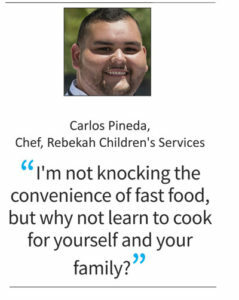 A recipient of a Sodexo scholarship himself, Pineda went on to attend culinary school and currently works with Rebekah’s Children’s Service in Gilroy, running his own culinary academy for disadvantaged youth. He also praised his fellow judges, Bozzo and Sakahara, known collectively as SakaBozzo. “They’re legends in the community,” Pineda said. At 4:30 p.m., the finalists plated their samples and placed them on the display table with high hopes. Then they presented their creations to the judges and audience members. Afterward, they proudly stood at their work stations, and shared high-fives and smiles with their lunch lady counterparts. The future chefs also handed over their green organic waste buckets, full of any kitchen scraps that resulted from the creation of their recipes, and had them weighed. The trophy for Least Food Waste went to Rayen Garcia. In the overall competition, Garcia also took second place, while Kevin Carrillo came in third. Each participant received a medal and certificate for their efforts, and a hearty round of applause.